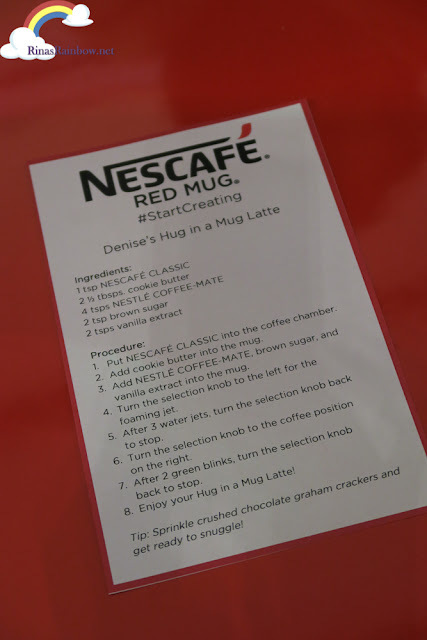 Rina's Rainbow: Start Creating Barista-Like Coffee with Nescafe Red Mug! Start Creating Barista-Like Coffee with Nescafe Red Mug! You guys have probably seen this gorgeous shiny sleek red machine being posted around social media. This is real! And it's one of the best and most easy to use machine that is so simple and easy to use but creates amazing and impressive cups of coffee in under 5 minutes! 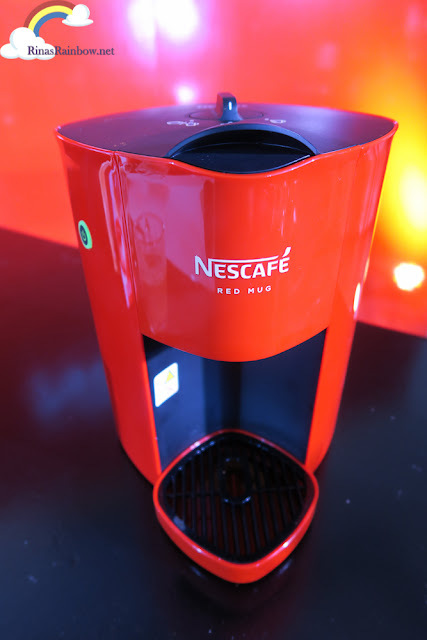 It's the Nescafe Red Mug Coffee Machine! You might be thinking... "It's a coffee machine. Big deal". The big deal is this is a much more simple machine yet it creates barista-like drinks. Cappuccino (with the foam and all! 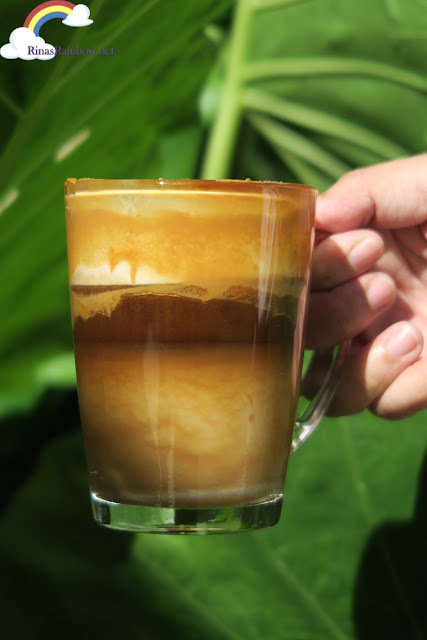 ), a beautifully layered latte, Americano, Mocha, and more! You can even create your own, using whatever ingredient you like. Seriously! 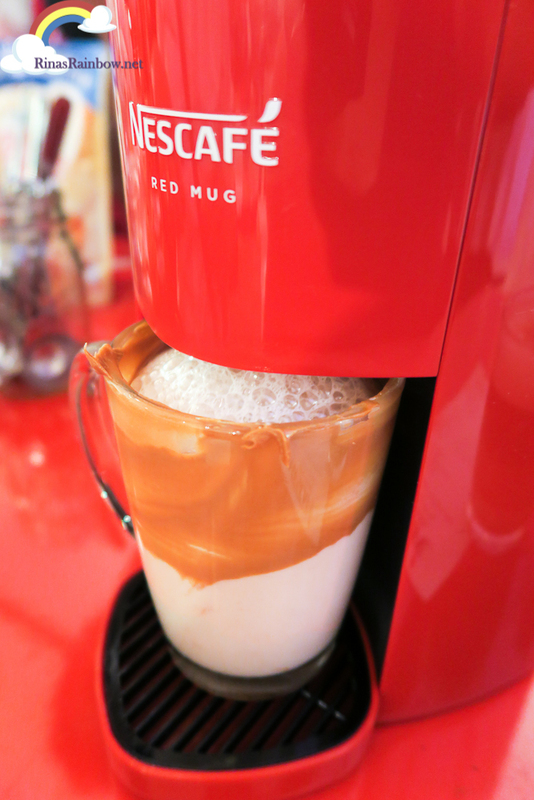 You can even use Nescafe 3-in-1! 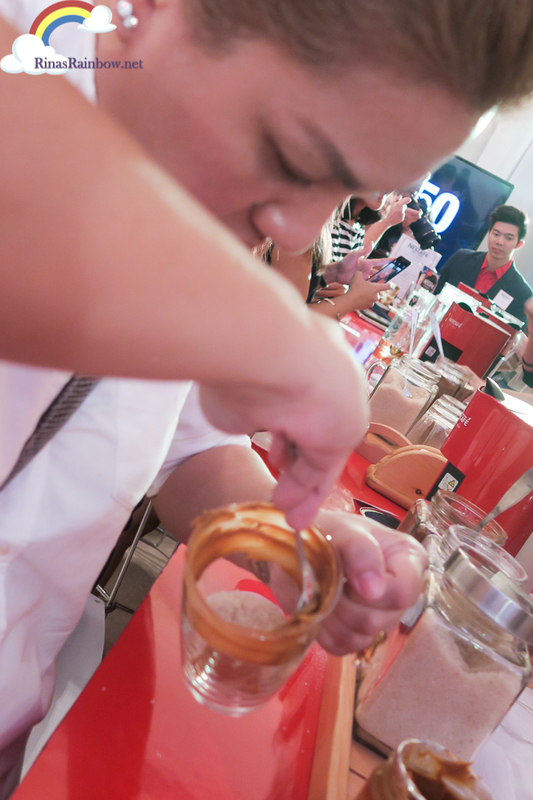 Tessa Prieto, the host of the event during the launch, even showed us how she created her special coffee drink with vanilla extract and cinnamon. It was really easy as 1,2,3! It's because the Red Mug Machine, developed in Switzerland, has an incredible foaming jet system which beats the hell out of the coffee mixture squeezing out all of its aroma and flavor.And of course makes it foam! 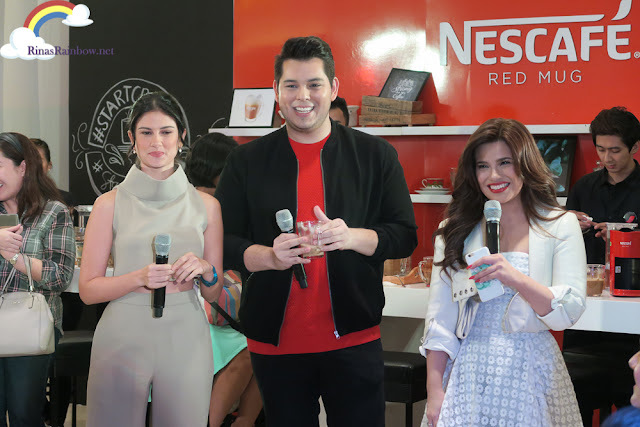 Celebrities Bianca King, Raymond Gutierrez, and Denise Laurel was at the launch as Red Mug ambassadors, and they all showed how easy it was to create impressive coffee concoctions in just a matter of minutes using the lean mean Red Mug machine! 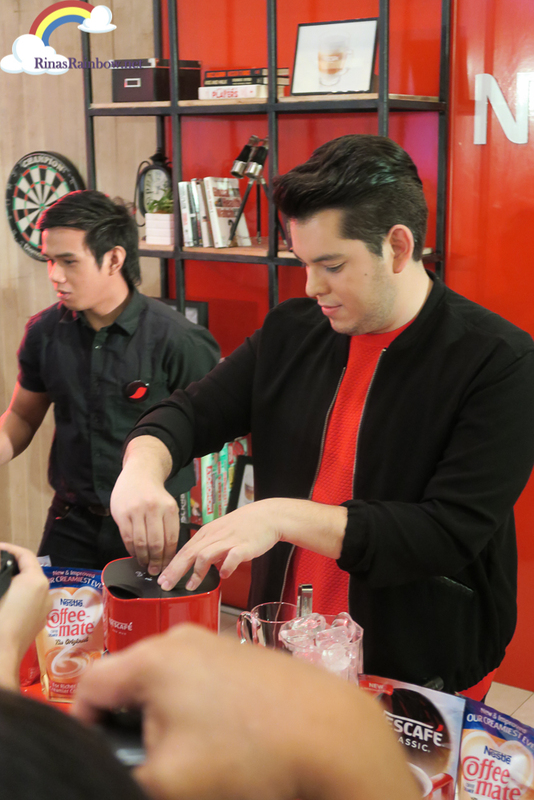 Raymond Gutierrez creates his Vanilla Chilled Coffee with ease. 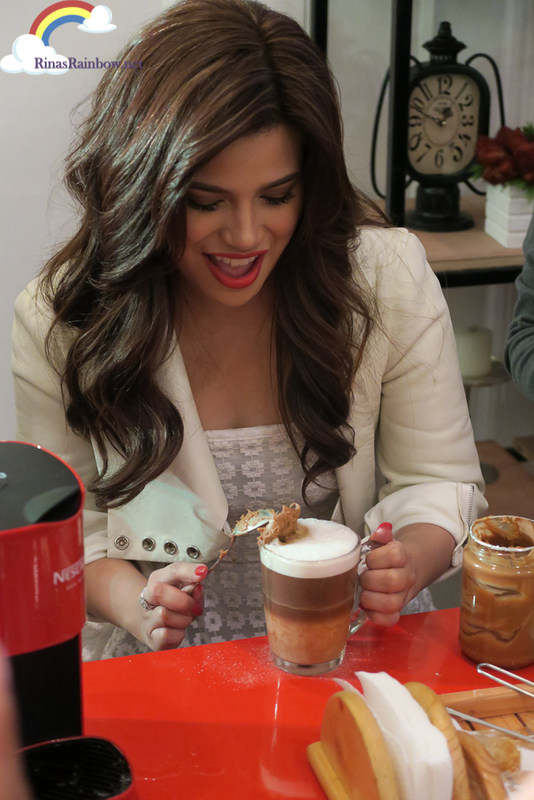 And Denise Laurel clearly enjoying making her Hug in a Mug Latte. You can really tell she made this drink with love! Her special ingredient? Cookie butter! This is her recipe right here. 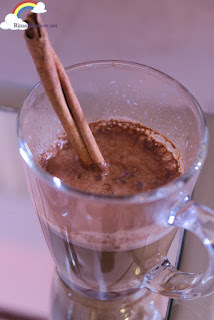 While everyone was watching the celebrities make their drinks, or trying to make it themselves, I was enjoying watching my friend The Mommist do her own version as she smeared a spoonful of cookie butter around the mug. Then she put the mug on the Red Mug machine and let it do the rest. Look at that foam! The final product? This! :-) And I have to say it really tasted good! Good job Len! ;-) We even went outside by the garden to take a photo of her beautiful coffee creation haha! Okay so just how easy is it really to use the Red Mug machine? It's very simple! Just fill the water at the back of the machine. And then on the top part of the machine, just flap open the front part, put your desired amount of Nescafe in it per cup. So either one teaspoon, or one and a half, or two. Up to you how strong you want your coffee to be. Or how much your coffee creation requires. In the mug, put in your desired amount of Coffee Mate and sugar. Then put the mug in place. Plug the machine and turn it on.. The power button is on the left side. 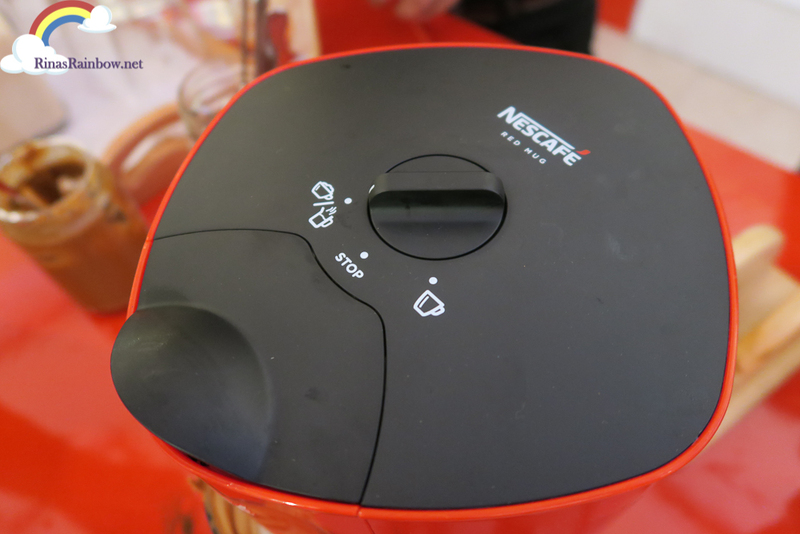 As soon as the power button light turns from red to green, you can start making your coffee. Green means go! First, turn the dial to the left. Then watch the Red Mug machine jet spray out hot water onto the bottom of the mug. This creates a cyclone, mixing everything on the mug. Keep the dial in that place and wait for the water to jet out at least 3 times. After that, turn the dial back to STOP (middle). Then turn it to the right and the machine extracts a perfect string of coffee extract into your mug. And that's it! And that's how easy it is to make an amazing coffee with the Red Mug coffee machine. Honestly, even the Nescafe 3-in-1 coffee somehow tasted better when we tried it with this machine.I just placed the 3-in-1 mixture on the mug, placed it on the machine, and then I let the Red Machine do the mixing with the jet water and foam. As you may have noticed, you don't need those expensive coffee capsules for this machine. I tried using one of those in one of the hotels we stayed at. It was a bit too confusing to operate (for me at least). With just a power button and one dial to turn left or right, this machine can be operated by anyone. It's so easy to use! But the outcome looks so professional! So really, all you need is a Nescafe, and a Coffee Mate, water, and you're good to go. 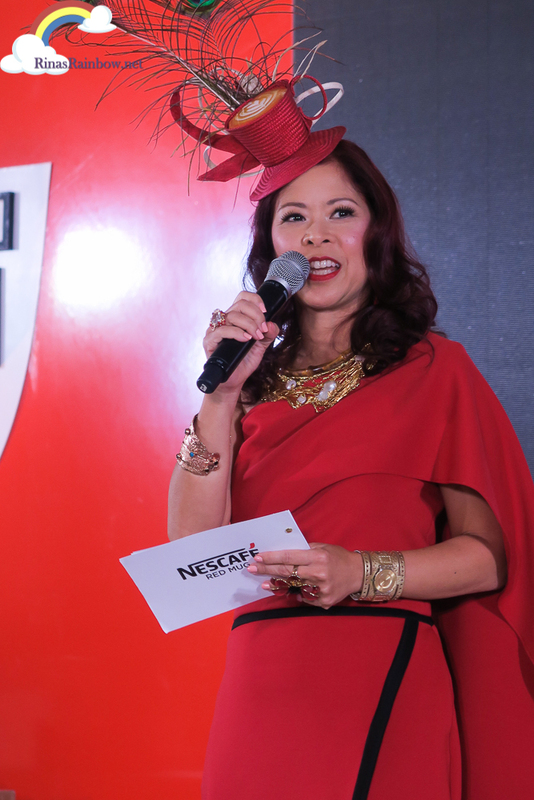 This Nescafe Red Mug Coffee Machine is currently on its special introductory price of only P1,999 (down from P2,399) until end of December 2015 (Oooh a perfect Christmas gift!). The Red Mug Package comes with 2 transparent coffee mugs for you and your BAE (did I just use that word? haha! 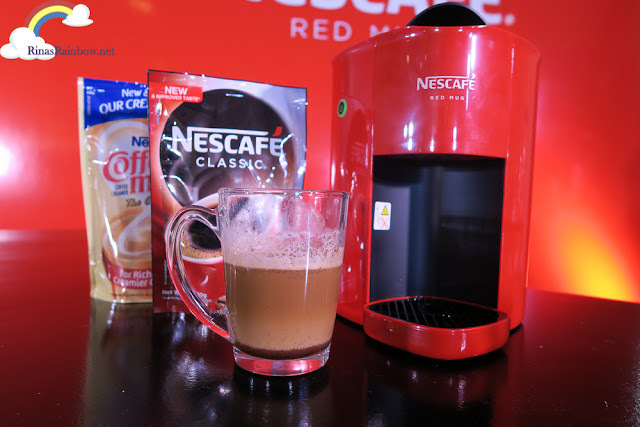 ), and it also comes with 100g Nescafe Classic, and 250g Coffee Mate. And last but not the least, it comes with a booklet of different coffee recipes you can try. The Red Mug Machine is available in select SM, Landmark, Robinsons, Merkado Supermarket, and Puregold, all within Metro Manila. Instant coffee has never been so delicious, thanks to the Nescafe Red Mug Coffee Machine!